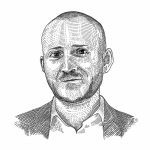 Publica is a blockchain platform for long-form publishing. More specifically, Publica will be a digital economy publishing platform. Its goal is to combine the worlds of traditional publishing and self-publishing, as it invites everyone participating in the ecosystem, across all borders, into trustworthy and frictionless e-commerce. The Publica token sale starts on November 1 and will run until December 1, 2017. During the ICO, the company will sell its digital token called Pebbles (PBL) to fund the development of the Publica platform. Prior to the official ICO launch, Publica held a pre-sale from October 19 to October 30 during which contributors who invested more than $10,000 were able to receive a discount on their tokens. To partake in the crowdsale, log onto the Publica ICO page and follow the instructions on the site. Publica believes that the publishing industry is faced with a fair share of problems including costly intermediaries who take a large cut of revenues, a self-publishing market flooded with low-quality books, and a lack of easy-to-create derivative rights products, such as movies and merchandise, for authors. Publica aims to address these issues by developing a blockchain-based e-commerce platform that leverages Ethereum-based smart contracts and cryptocurrency to enable authors to fundraise for the publication of their books, publish them, and sell rights to derivative products. 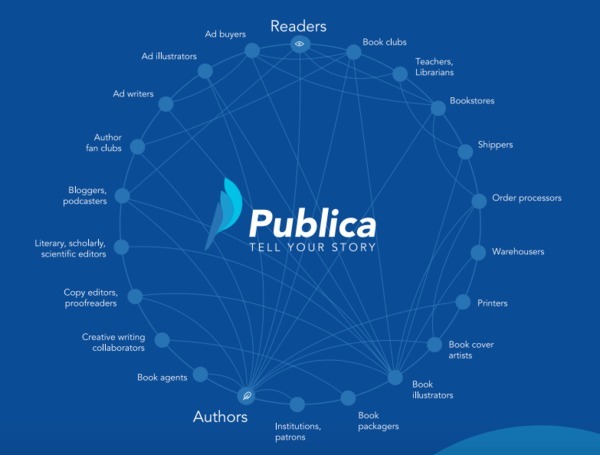 Publica, therefore, wants to cover the entire e-commerce supply chain for authors from book idea creation to the final publication and the sale of derivative products, all in a transparent manner. The Publica team is led by CEO Josef Marc. Marc has extensive leadership experience in the media and technology space, having led Archimedia Technology, which was acquired by GrayMeta, and teams at DirecTV, Verizon FIOS TV, Front Porch Digital, and Sony. Marc is supported by his CTO Yuri Pimenov, a bitcoin trading technologies and systems developer who has held several CTO roles in tech startups including Paybis, Pokeroff.ru, and Stuff.tm and COO Antons Sapriko, who runs the operational management of Publica with his team from Scandiweb. Scandiweb is an e-commerce technology service provider that has had Jaguar, Walmart, and The New York Times as customers and has recently worked with Element Group to launch initial coin offerings. The Pebbles (PBL) token will be the currency that users of the Publica platform will use for transactions. The main reason Publica has chosen the use digital currency in its network is to lower the cost of transactions and to allow for easy-to-process micropayments. Pebbles are ERC-20 Ethereum tokens and will have a fixed total token supply of 1 billion. Fifty-one percent of pebbles will be sold to the public during the company’s token sale, 4 percent will be spent the ICO, 25 percent will be held in Publica’s Treasury and steadily released as platform incentives over five years. The remaining 20 percent will be retained by the company and locked up for five years. On the Publica platform, you will also find READ and RIGHTS tokens, both of which are also ERC-20 tokens. READ tokens will decrypt ebooks for reading. They act as the private key in a two-key encryption system inside a user’s Publica ereader app/wallet. The ebook’s public key will be on the blockchain. READ tokens can be purchased using Pebbles (PBL) and also act as smart contract identifiers to copyrights and books as bearer assets. RIGHTS tokens will be used to distribute a book’s derivative rights revenues for other products such as movie scripts, games, reprints, merchandise, etc. RIGHTS token can be bought during a book’s RIGHTS initial coin offering, which may be open to public investors or limited by invitation to specific investors. Smart contracts will determine each person’s share of revenues from the rights they have acquired. As is the case with most blockchain projects that are issuing new tokens as part of an ICO, the future price performance of Pebbles (PBL) will be closely linked to the success of Publica. Should the startup manage to achieve its goals and become a major ebook publishing platform, the value of pebbles could likely increase. Publica has established a presence on all major social media channels to ensure clear communication about the project and its initial coin offering. Publica is active on Reddit, Twitter, Facebook, Telegram, the BitcoinTalk Forum, and has even set up its own Publica Community platform where it is answering questions and providing information about its upcoming platform. Publica also has been very active on its blog to ensure transparency and to keep its contributors and potential contributors informed of its progress. However, the startup has not provided any open-source code for other developers to inspect. While many blockchain projects open-source their code, those developing proprietary technology often do not share their code for fear of competition. It is, therefore, understandable that Publica is not sharing this information with the public at this time. Publica has an experienced team and a product idea where blockchain disruption makes sense. However, Publica has no working minimum viable product (MVP) of its platform yet. Hence, it is difficult to predict how well the platform will be received and whether it will be able to attract the critical mass of users it will require to succeed. There is also ample competition in this space from other publishing-focused blockchain projects such as Po.et, Rakugo, and Creativechain and, of course, from existing publishing platforms such as Amazon’s self-publishing platform, for example. By investing in the Publica ICO, you are effectively betting on the project’s team and their ability to deliver the platform as they envision it. This will take time. Hence, purchasing the Pebble (PBL) token would fall under the category of long-term investment and investors should not expect substantial short-term price gains. Sign up for free email updates about Publica here. If you want to find out more about upcoming ICO, check out the Bitcoin Market Journal initial coin offerings page, where you can sign up for updates on all the ICOs of interest to you. 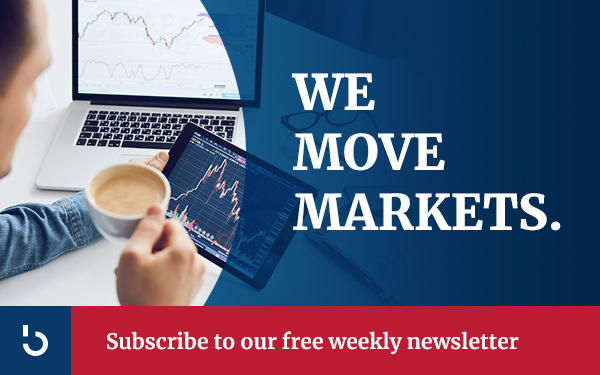 While you are there, don’t forget to subscribe to the Bitcoin Market Journal newsletter because it is the best investment you’ll make today!